Researchers can not explain the origin of this buzz. Seismographers all over the world November 11 recorded a mysterious hum, which is associated with seismic activity. However, as reported by Science Alert, the causes of underground shocks are still unknown. Researchers assume that the activity is somehow associated with a series of earthquakes that have been observed around the island of Mayotte, which is part of the Comoros archipelago in the Indian Ocean, for half a year. “I do not think that I’ve ever seen something like that,” Goran Extrum from Columbia University said. 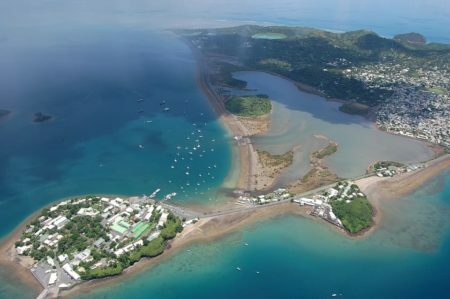 Six months before the enigmatic rumble was recorded, the researchers observed another abnormal seismic activity – a series of hundreds of small earthquakes with an epicenter 31 miles from the east coast of Mayotte. The most powerful of these earthquakes, with a magnitude of 5.8, was observed on May 15th and was the most powerful such event registered in the Comoros. Analysis of the data received by seismographs showed that such activity can not be explained only by the motion of tectonic plates. According to researchers, one of the reasons for such events may also be volcanic activity. Three weeks ago, scientists recorded something unusual: a long low-frequency vibration that was repeated with a period of 17 seconds for 20 minutes. The exact cause of the appearance of this vibration can not be called researchers. However, they assume that it is associated with the movement of magma under the Indian Ocean. This hypothesis can explain why the island of Mayotte is not stable: since July it moved by 0.06 yd eastward and 0.03 yd southward. According to scientists, the movement occurred due to the devastation of the reservoir of magma near the island. Previously, scientists came to the conclusion that the deepest earthquakes may turn out to be seasonal phenomena. According to scientists, the seasonal trend is not observed for small earthquakes or small shocks. Seasonal earthquakes with magnitude above 7 points and those occurring at a depth of more than 310 milles. The reason for such behavior of earthquakes scientists can not explain.